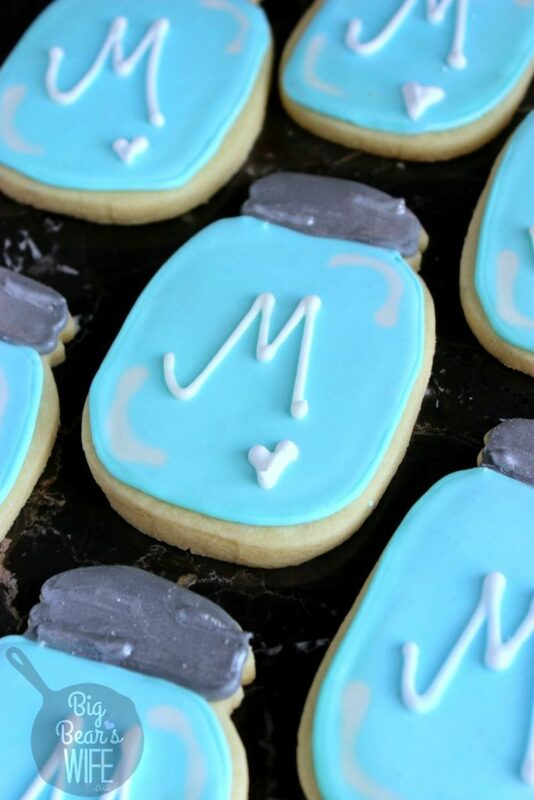 Super easy Mason Jar Sugar Cookies with icing will bring a smile to any southern’s face! Love mason jars? These cookies are for you! There were many times over the past few year where I didn’t want to post things because they were just from a “home cook” that liked to practice on cakes and cookies for her family. However, you know what, I get a lot of praise about the cakes and cookies I make, people seem to love them so I’ll keep making them. I might now be a professional with TV show worthy cakes but that’s ok! I want to post cookies and cakes that I make, mainly because I want everyone to know that everyone and anyone can make sweet desserts like this. 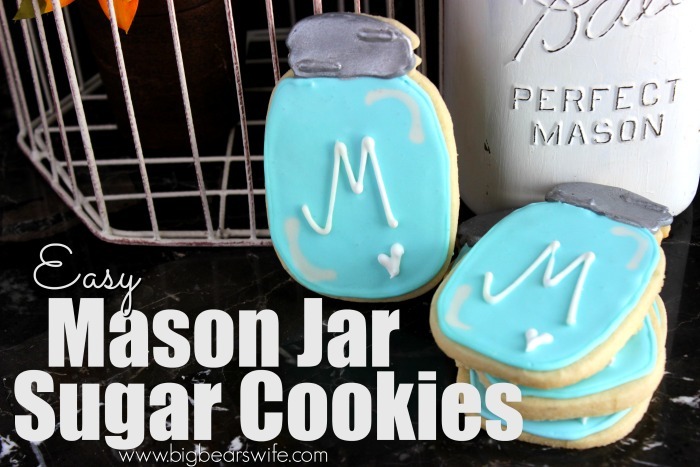 Yes, sugar cookies like these mason jars might seem intimidating, but they’re super easy! 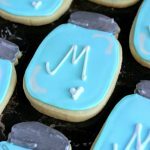 I made these mason jar sugar cookies for my brother and future sister in law’s wedding shower and now I’ve got the recipe for you! I’m going to link to a few YouTube videos that might help you out too since I didn’t really take any process shots. 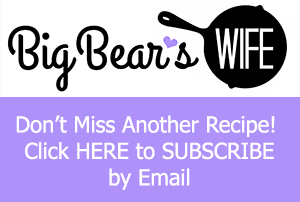 I’ve also got some links for y’all on where I bough the mason jar cookie cutter as well as the edible silver shimmer! That’s right, these mason jar cookies have a simmering silver dust on the lids! I bought my silver luster dust at Hobby Lobby but you can also find it on here on amazon. Now with the luster dust, DON’T mix it with water! 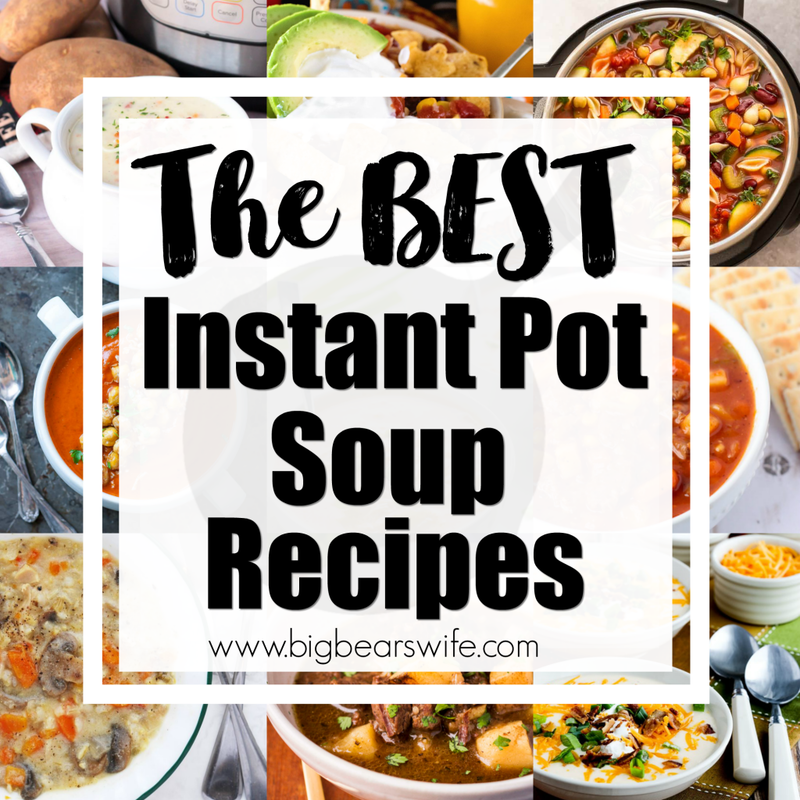 You need to mix it in a shallow dish with a few drops of drinking alcohol or extract. 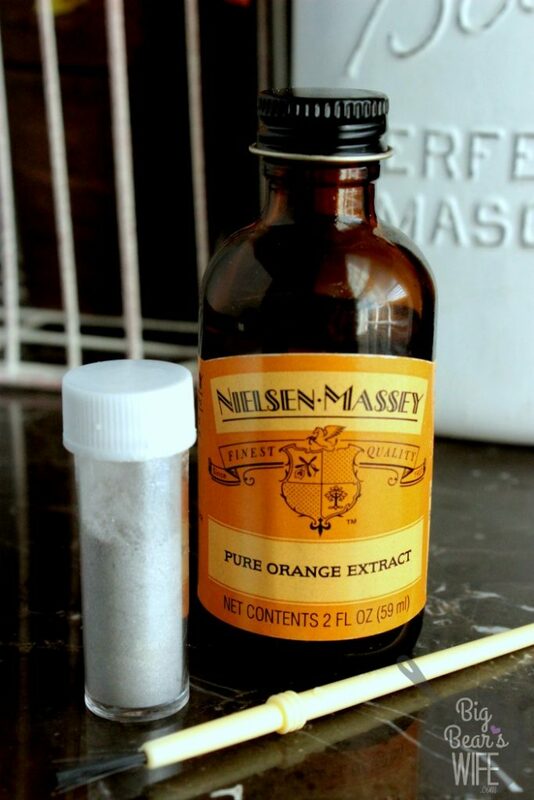 I used this Nielsen-Massey Pure Orange Extract because that’s what I had in my pantry; vanilla extract would be good too! Once you mix it into a “paint”, you’ll just use a clean paint brush to brush it on wherever you want silver shimmer. I used it on the lids of these mason jar sugar cookies. 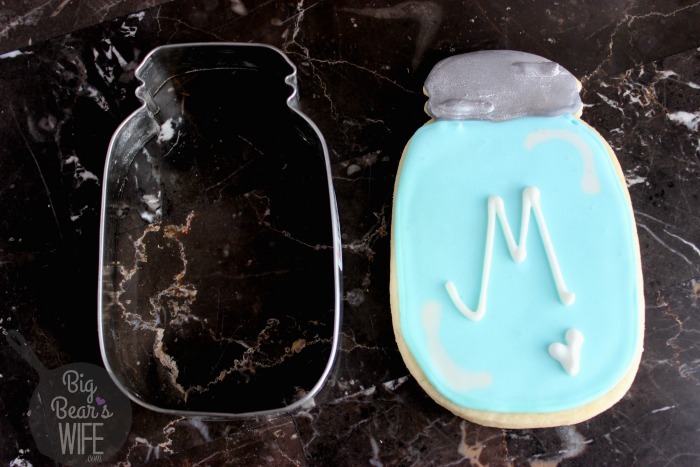 You’re also going to need this cute little mason jar cookie cutter. I bought mine from LMCreativeDesigns on Etsy! So while I was decorating cookies long before I knew who Bridget from Bake at 350F was, I just LOVE her tutorials! 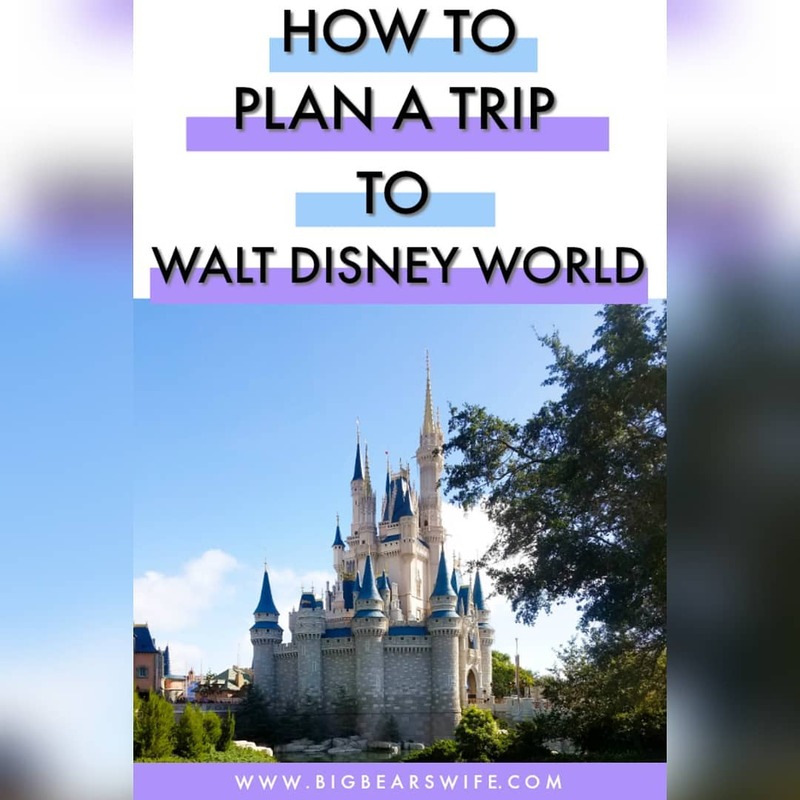 Since I didn’t do step by step photos, I did a quick search on Bridget’s site and thankfully she’s got one on her blog! 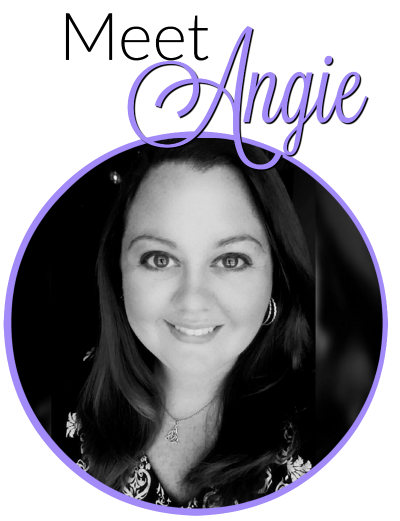 So if you need a visual for how to pipe the cookies, check out her post here. Super easy Mason Jar Sugar Cookies with icing will bring a smile to any southern's face! 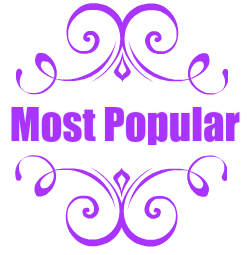 Love mason jars? These cookies are for you! Bake on un-greased baking sheet at 350 degrees for 8 to 10 minutes. Scoop out 1 cup white icing and set aside. Scoop out 1/4 of the remaining white icing into a medium bowl and add in the black food coloring. Mix well to make gray. Color the rest of the icing with a few drops of the blue food coloring. Fill a piping bag, fitted with a #5 piping tip, with some of the white icing. Sit aside. Fill a piping bag, fitted with a #5 piping tip, with a little bit of the gray icing. Sit aside. Fill a piping bag, fitted with a #5 piping tip, with a bit of the blue icing. Sit aside. You\'ll use these to pipe your outlines. 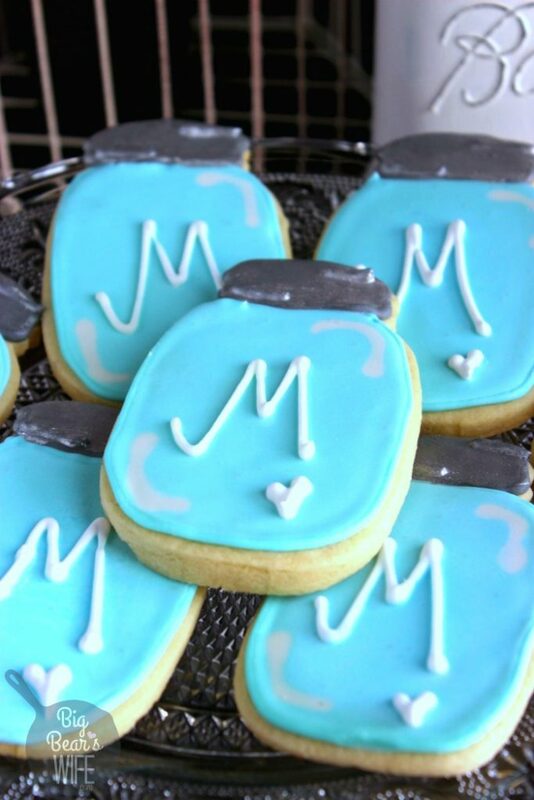 Using the blue icing, draw the outline of the jar on the baked cookie. Use the gray icing to pipe a outline of the lid area. Now in stir a little warm water into the blue bowl of icing until the blue icing is \"pour-able\". 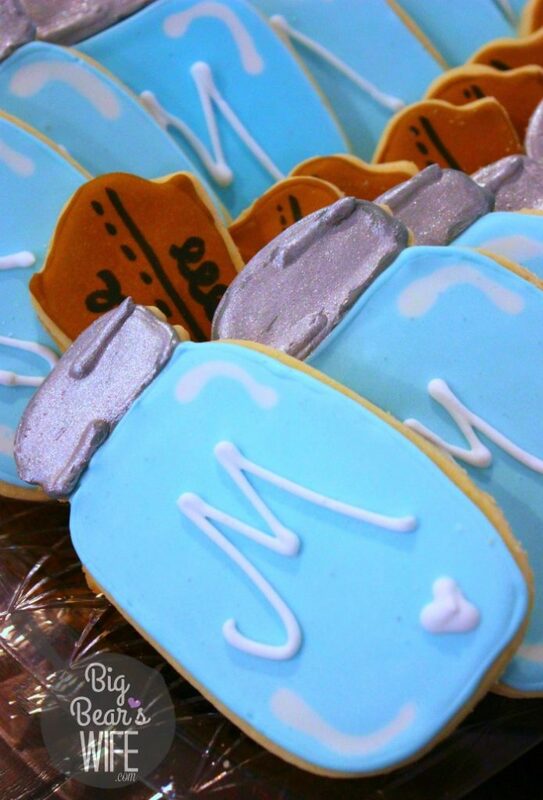 Using a spoon or a filled squeeze bottle, filling the blue part of the mason jar with blue icing. Using a spoon or a tooth pick to pull the icing to fill the entire area. Do the same with the gray icing and fill the mason jar top with icing. Use the white icing in the piping bag to draw little \"reflection lines\" in the top right and bottom left of the mason jar. Let cookies dry completely (for a few hours). Using the rest of the white icing to add an initial or any details to the mason jar. If using the luster dust, once the cookies are dry, mix a a teaspoon of the silver luster dust with a few drops of vanilla extract. Mix until it forms a very thin paint. Use a clean paint brush (that\'s NEVER been use for paint), and brush on to the lid part of the cookie. Let dry over night for a \"stack able cookie\"
These are super cute. And yes you should most definitely share your cookies and cakes. 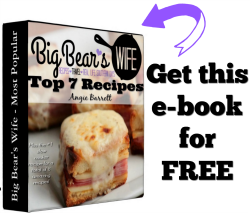 Who cares if you are “just” a home baker – they’re beautiful nonetheless! These look perfect, girl! So fun and pretty! 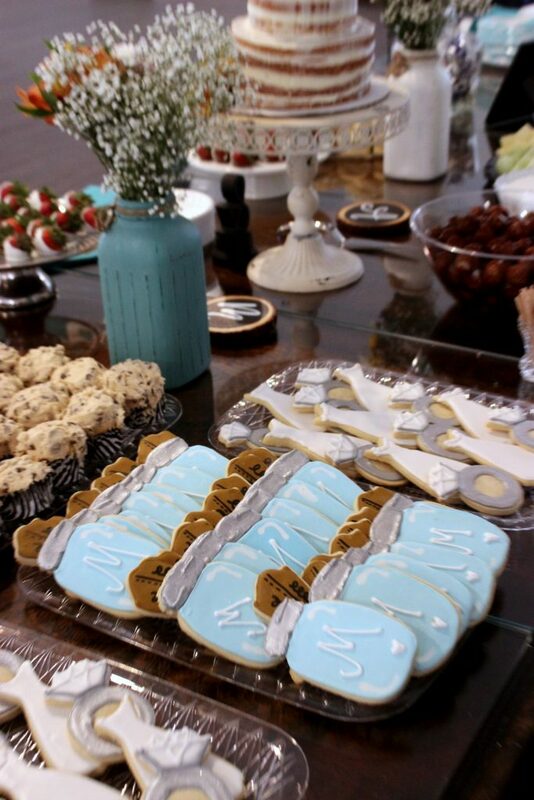 I think these might just be the prettiest sugar cookies ever, I’d love to give these a try! That whole spread/tablescape looks great. Oh my gosh! These are such cute cookies! Great job! These are soooo cute, such an awesome idea! So super cute! And this used-to-be-a-Southerner LOVES them like you predicted!